With a $103 million worldwide opening, it’s no surprise that Warner Bros. and Legendary are already developing a sequel to Godzilla—a franchise that will never run out of story directions, so long as there are more radioactive monsters to fight. 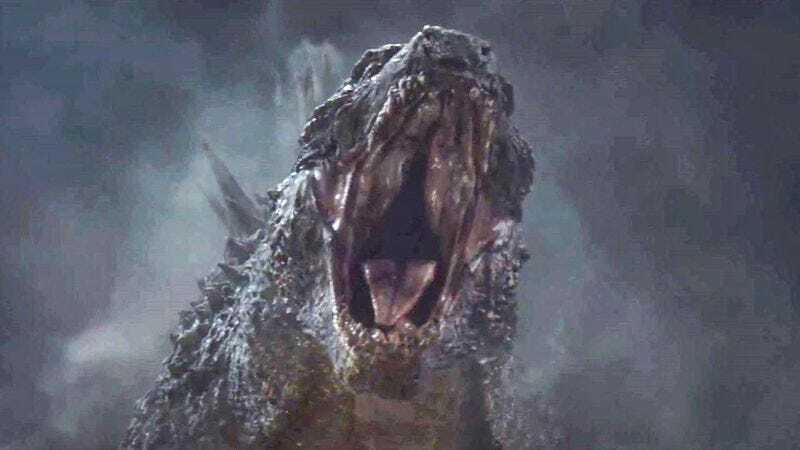 Much as he kept the audience in suspense, wondering whether Godzilla would show up in a Godzilla movie, director Gareth Edwards has been predictably coy about any sequel talk, and as of yet he’s not officially attached to return. But screenwriter Max Borenstein has been a little more forthcoming, both about its inevitable prospects and what it might entail—noting that Godzilla already has an Easter egg in which [spoiler alert] an empty aquarium labeled “Mothra” is glimpsed. Still, Borenstein stopped short of saying definitively whether that means Mothra—or any of the other original Toho characters—will make an appearance. “The same way Chris Nolan was so brilliantly able to create a Joker that felt of a piece in his dark and grounded reality,” Borenstein said, would be the way he hoped Mothra (or any other new character) would be introduced to the franchise. And while he’s not saying Mothra will definitely be next, Borenstein said he does believe it’s possible to establish a gritty, realistic, radioactive moth, one who just wants to see the world covered in silk because it took her enormous egg. For example, maybe instead of being summoned by singing twin fairies, Mothra could receive a more official mandate from the United Nations, sung by Secretary-General Ban Ki-moon.